PIERRE, S.D. 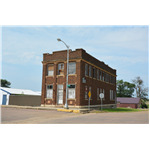 – The Security State Bank in Dante was recently added to the National Register of Historic Places, according to the South Dakota State Historical Society. The Security State Bank is a two-story, rectangular masonry brick commercial building. It was built in 1920 at 320 Main Street, which is the southwest corner of Main St. and Haskell Ave. The bank is the best remaining local example of early 20th century commercial history and architecture in Dante and is the only bank in Dante’s history. 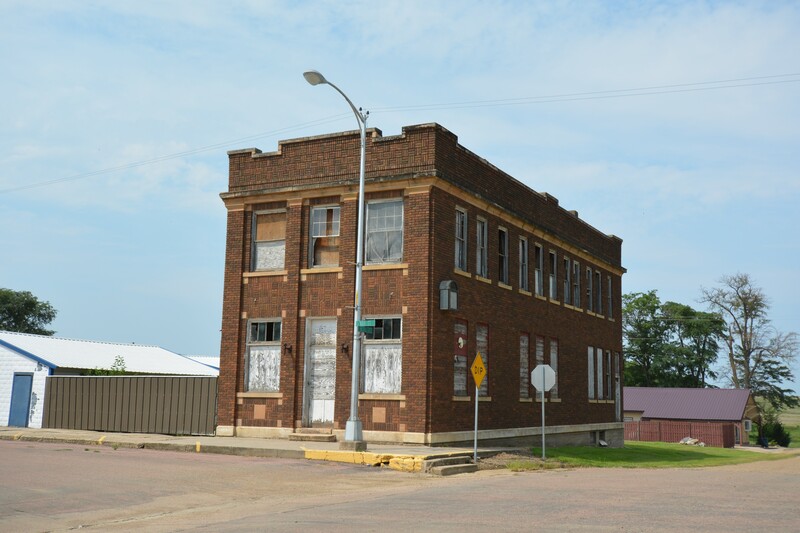 The building is listed in the National Register for its significance to the history of banking and commerce in early Dante to serve the agriculture-dependent community and represent the economic difficulties that plagued South Dakota in the 1920s. It is also listed as the best local example of an early 20th century two-part commercial block, as well as demonstrating shifts in commercial bank architecture with its blend of Craftsman and Neoclassical styles. The National Register is the official federal list of properties identified as important in American history, architecture, archaeology, engineering and culture. The State Historic Preservation Office of the State Historical Society works in conjunction with the National Park Service, which oversees the National Register program, to list the properties. "South Dakota's history is rich in American Indian culture, pioneer life and change," said Jay D. Vogt, state historic preservation officer and director of the State Historical Society at the Cultural Heritage Center in Pierre. "The more than 1,300 state individual properties and districts listed on the National Register are important for their role in South Dakota's culture, heritage and history. And when properties get listed, it shows that their owners take pride in their role in preserving that culture, heritage and history." Buildings, sites, structures and objects at least 50 years old possessing historical significance may qualify for the National Register, according to Vogt. Properties must also maintain their historic location, design, materials and association. Listing on the National Register does not place any limitations on private property owners by the federal government. For more information on the National Register or other historic preservation programs, contact the State Historic Preservation Office at the Cultural Heritage Center, 900 Governors Drive, Pierre, SD 57501-2217; telephone 605-773-3458 or website history.sd.gov/Preservation (click on National Register of Historic Places in the right column).